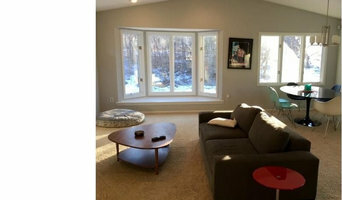 Sunspace Twin Cities is Minnesota and Western Wisconsin's supplier of Sunspace Porch Windows. Our specialty is turning screen-porches into more usable spaces that can be used in all seasons. Transform your screened-in porch into an outdoor oasis that stays clean, dry, and useful throughout the seasons! Erik Laine is Owner of Realty Connect, a full service Real Estate company assisting in buying & selling of Real Estate. Owner of RenterConnect, specializing in tenant placement and property management. Owner of LP Design, general contracting & construction, from interiors to exteriors. Arrow Building Center provides our customers with construction solutions, quality building materials, and superior service. Our experienced and well-trained employees at our 16 full service lumberyards are ready to offer the best up-to-date products at an affordable price and extend the personalized, professional service customers have come to expect from Arrow Building Center since 1903. In addition to our top-quality building materials, we also offer design and drafting services, window services, post frame construction, commercial services, and cabinet design. Visit us at abc-clc.com to find a location near you. We work in various ways with homeowners/public, builders, designers/architects, and installers/floor stores to find the right hardwood flooring product for any situation. While purchases are limited to the flooring trade, assisting in the selection process is our specialty. Homeowners: Our Twin Cities based showrooms are open 7am-4pm M-F, by appointment. We welcome phone calls and personal visits to assist in the hardwood flooring decision-making process. If you are not already working with a Musolf's Wood Flooring account holder we can provide qualified referrals upon request. Please keep in mind Musolf's personnel cannot address questions that pertain to price. Builders: Builders and their customers are encouraged to use our showrooms to make selections. Please call ahead, schedule an appointment, and prepare your clients with the name of the organization performing your installations. Samples are available upon request. Architects & Designers: With members of Musolf's staff designated to cater to the A & D community and a library of products from all over the globe, we feel confident we can find the right fit for any project. We specialize in presentations at firms and can assist you and your clients with selections in any of our showrooms. Samples are available upon request. Installers & Floor Stores: Our direct customer is the flooring trade. Whether it’s utilizing our showrooms or asking technical questions to our knowledgeable staff, we are here to help you make a living in flooring. Rustic Revival Barnwood is the largest reclaimed barn wood shop in town! Over 6,000 sq ft with hundreds of options in reclaimed barn wood boards, beams, mantels, tin, doors, windows, metal, decor, signs and so much more!!! Let our friendly knowledgeable decorative hardware experts walk you through our massive selection of door, cabinet, and bath hardware as you put the finishing touches on your project. Twin City Hardware supplies hardware to many builders, designers, architects, and other building industry businesses. Serving the Twin Cities area for more than 100 years, we specialize in the fabrication and installation of granite, quartz, marble, limestone, agate and more. 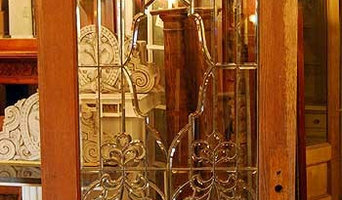 We provide quality craftsmanship and pay special attention to customer service. We will help you pick the best natural stone for your kitchen, bathroom or any other room of your home. We can turn this natural stone into countertops, bars, vanities, tabletops and more! Manufacturer of premium stone and thin brick veneer. The makers of Boulder Creek Stone have been advancing the science of engineered stone for more than 30 years. We've been leading the industry since there's been an industry to lead. Our products provide homeowners, architects and design professionals with a design component that lends texture, style and character to any structure or environment, be it residential or commercial. Dakota County Lumber Company is a full-service, professional contractor oriented, retail lumberyard. In operation since 1984, we pride ourselves on the service provided to our customers, treating them as professionals with respect for the time and effort they put into their business. Realizing that efficiency is important to everyone, we strive to provide the right products, services, and information to make our time and yours most productive. *Authorized Dura Supreme Cabinetry Dealer* St. Peter Lumber Company is located in the Minnesota River Valley, servicing the areas building and home maintenance needs since 1988. Our staff has over 100 years of combined experience in the building industry and is ready to assist our customers in building their house into a home. We carry a full line of high quality building materials for all home improvement projects. Our trusted brands include Marvin Windows and Doors, Dura Supreme cabinets, Bayer Built doors, Cambria Countertops, and our own Best Look paints by Sherwin Williams. We are a lumberyard and building center with inspired staff and big ideas. Need help getting your project off the ground? We can help. Contact Tom or Tim and they can assist you with choices you might not want to make without the assistance of a professional. Whether you know exactly what you need and can do it yourself or you know only that you need a change, we can help you find what you need, and if you need a professional we can help you find one of those too. With today’s emphasis on chemical-free and recyclable products, you may find a Minnesota lumber supply company that specializes in salvaged, recycled and reclaimed wood. Reclaimed wood projects and applications can include custom interior walls, wide-plank flooring, barn wood sliding doors and more. Find lumber and building supplies on Houzz. Narrow your search for Golden Valley, MN lumber supplies and building supplies by selecting the nearest city or zip code. Find trusted lumber companies and hardware suppliers with reviews from residential builders, interior designers and homeowners.